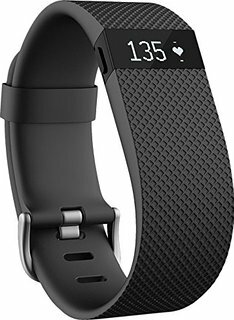 such a nice exercising tracking accessory to have, but since it is always on your wrist and you sweat, it collects the sweat and the dead sking and will start to stink eventually. The nice thing is that cleaning your fitbit is actually really easy and does not cost a lot of money to do. All you need are a few ingredients to do this simple task. Use the cotton rounds and add some alcohol to them and wipe down the fitbit down and try to get as much as possible to remove any dirt and grime from the fitbit. Use the Q-Tips dipped in alcohol to clean the small to reach areas including the charging ports. The tooth picks come in to play to remove the hard to reach areas to scrape out the dead skin. It should only take about 5 minutes to fully clean the fitbit. Let it fully dry before putting it back onto your wrist or before charging. Since you are using rubbing alcohol, it should only take a few minutes to dry off. I will also wipe down my wrist with the cotton rounds that have rubbing alcohol in them to remove any of the "stink"
See my video below on how to do this. This entry was posted on March 14, 2017 at 11:01 AM and has received 553 views. There are currently 0 comments. Print this entry. Have you ever gotten a grease stain or a oil stain on your clothes that no matter how many times you wash them, they justnot come out? Every time I cook bacon, I seem to get some sort of oil or grease stain on my shirt or pants, or I will just get a stain from just about anything. If I am working on my car, I always seem to get stains when I am wearing clothes that I never inteded to get stained, but when I am wearing old clothes that I dont care about they always seem to be pristine. Grilling stuff or when I am making ranch dressing especially for pizza's, I seem to get stains from stuff dripping onto my shirts. Here is a extremely easy way to remove the stubborn stains without having to go out to the store and buy some sort of new stain stick that sometimes does not work, and you probably have everything that you need to remove the stain anyways. I use liquid dish soap and a old toothbrush. Below is a video of what I do. This entry was posted on February 28, 2017 at 1:55 PM and has received 494 views. There are currently 0 comments. Print this entry.